Planning on your dream foreign vacation or just spending a lot on foreign currencies online? Its time to use the right credit card for your international transactions as all such transactions has a new kind of transaction fee called Foreign Currency Markup Fee which is usually 3.5%+GST on most cards, which turns to almost 4% of the actual spend. If you wonder how does it make a difference, its quite simple. Suppose you spend 1L on foreign currency, you end up loosing Rs.4000 (4%) as markup fee. Its one of the major source of income for banks and its time for us to get rid of it. 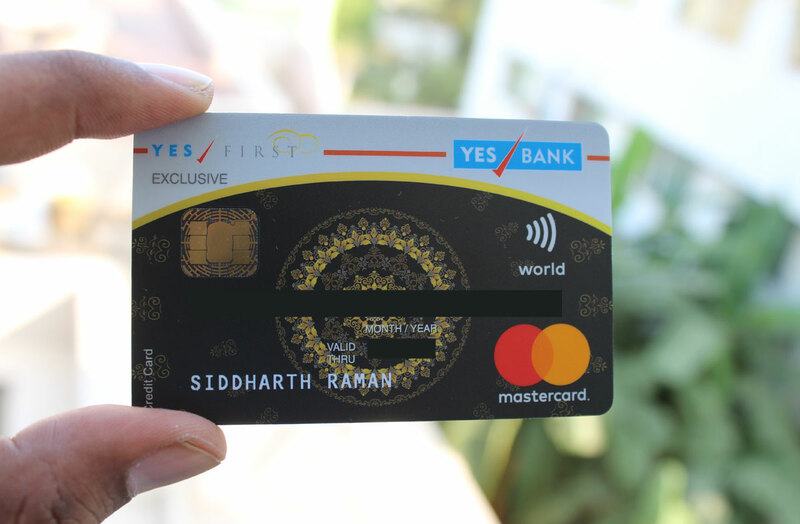 Its one of the super premium credit cards in India and so is pretty tough to get approved for one. You can get similar gains with HDFC Diners Black credit card as well, but after visiting couple of countries, i can say that the acceptance of diners cards is incredibly low in foreign countries. So Infinia is far better comparing the two. As you can see, being a Citi Gold client helps you get a better reward rate, else you cant save much unless you’re a PRO in airmiles/hotel points redemption. The Citigold status can be availed by maintaining a Net Relationship Value* (NRV) of Rs. 50 Lakh for Savings/Current Account Holders. It’s easy to get approved with Card-on-card application these days as long as you have 8L+ Credit limit on any of your other credit cards. On top of that, its issued as Lifetime free for a limited period. It’s easy to get approved Card-on-card basis as long as you have 4L+ Credit limit on any of your other credit cards. On top of that, its also issued as Lifetime free for a limited period. A lot of our readers has got this card and totally love it for its 2x/3x Points offers. Yes, that’s a loss of about 0.7% but much better than most other cards which will let you loose 4% or so. Its one of the most popular credit card in the industry for its name and fame of the past. It has been devalued recently, though it still carries some of the premium features to certain extent. HDFC Diners Premium also has similar markup fee, though, acceptance is the issue. Its a not so popular card, though gives a decent reward rate on International spend. Note that it works only when you spend around ~Rs.10,000 a month, anything more wont give you the accelerated points on Intl spend. Its one of the latest entrant in Indusind Credit Card Portfolio and comes with a decent benefit of 1.8% Markup fee for a limited period (until Dec 2017). Maynot be a perfect credit card for a typical international trip, but for those who can put the spends on weekends, can reap the maximum benefit. 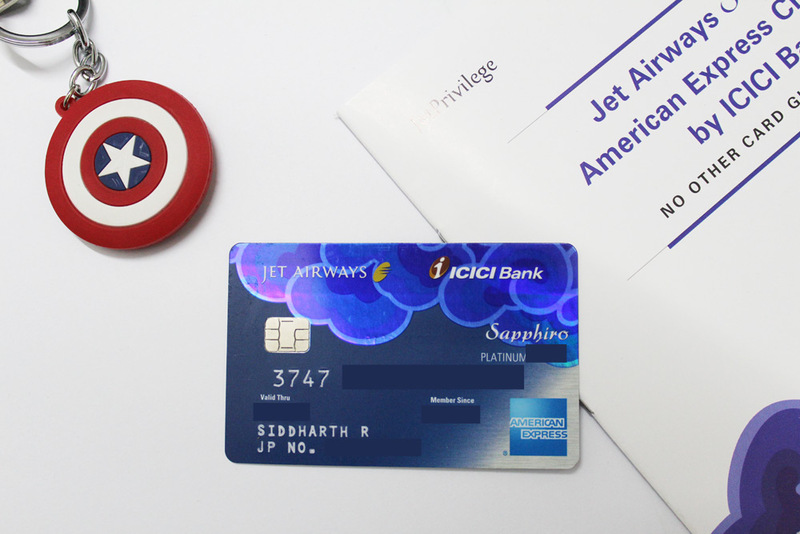 If you’re playing airmiles game, this will be your best credit card as long as you can redeem 1 JPMile = 1 INR which is tough for non-frequent flyers. I personally use this card for foreign transactions where-ever its accepted. Caution: The reward rate on all above cards are calculated on effective utilization of the reward points that you earn on the spend. If you donot redeem the points at the right time, you may loose the whole point of saving. 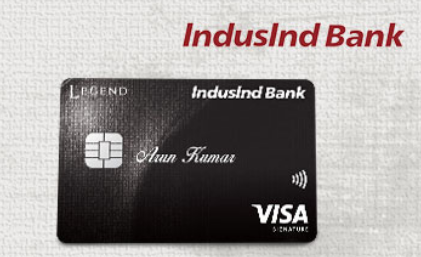 While these are some of the best credit cards for international use, i still prefer a debit card from Indusind which is Indusind Signature Exclusive Debit Card that has 0% markup fee. It comes at a small fee but for a weeklong international travel i save enough and it gives me peace of mind as i can goto any country and withdraw their money just like any other local citizen – zero charges! 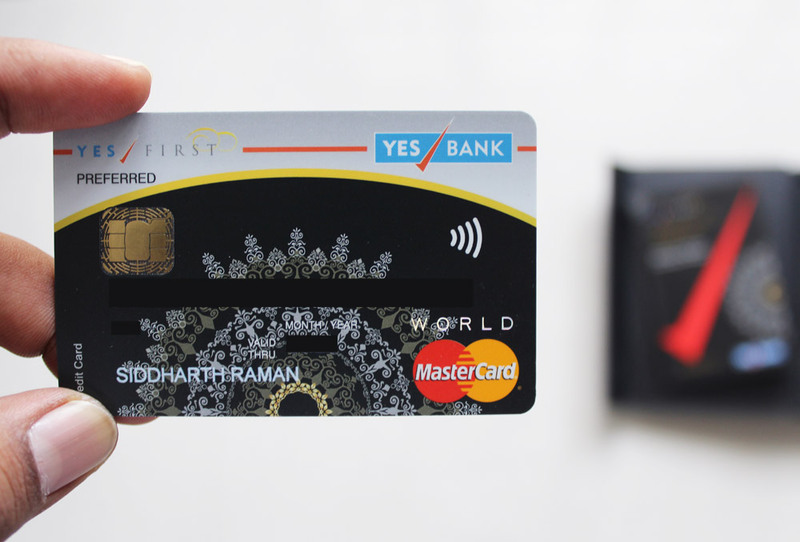 Ideally, i would suggest a combinational of debit+credit cards for international trips and use it this way: debit card for cash withdrawals & credit card at risky/non-safe locations. If you’re just doing online spends in foreign currencies you could very well choose your preferred one from the above list. Which is your preferred credit/debit card for International Transactions/Travel? Share your thoughts in comments below. Would you recommend using credit cards or multicurrency prepaid cards like “thomas cook borderless prepaid card”. I have to do transactions only in USD and would like to know which one is the better choice. Yes, above cards are better than Multicurrency cards. Sometimes though third party forex cards are good if you deal with USD or other popular currencies. You just need to compare what CC you have with the respective forex card fee/charges to find the answer. I have HDFC Allmiles and AmEx Membership rewards credit card (lifetime free). Can you tell me if i should go for the thomas cook card still for USD? I tried applying for regalia but they asked me to send the paper form instead of initiating over phone call which i think will be a paid upgrade. Check forex card by Doorstepforex, i availed it recently and you can consider it. I heard Thomas cook cards are bit pricy. They need physical form for all upgrades, it maynot be a paid upgrade. Doorstepforex is a third party provider unlike Thomas Cook who sells its own card. Thomas Cook is definitely superior. Suggest you do a comparison for yourself. I often deposit money in skrill.com which is an international wallet. I am charged 3.44 mark up fee + 1.8% GST on my icici credit card. Please suggest me a better credit card or forex card. YES FIRST Exclusive gives a reward rate of 2.5%. It gives 10 RP/₹100. Each point is worth ₹0.25. FYI – The Regalia First card also provides a 2% markup` fee. 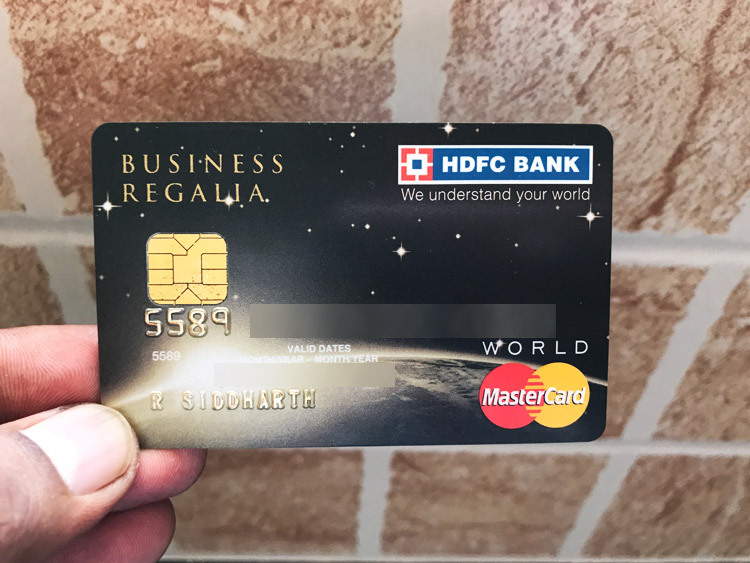 I have been using HDFC regalia credit card for 4 month now and I am liking it. But now I have to make transactions of about 6L but my credit limit is 3L only. It seems like I can’t put in upgrade request as that feature is currently not available on my account – as stated by HDFC net banking site. Is there any other way to do so? You need atleast 6 months gap for Limit Enhancement Gautam. You can call Phone Banking and ask for it. Hdfc jet privilege world also have 2% forex markup right? Rbl is upgrading my platinum maxima to icon.I have tried convincing them but they are not ready to waive the annual fee. Is it worth upgrading and does lounge(international)visits are free with complimentry PP?.As per the rep it is free. Maybe its worth it if you spend on Intl txn’s else no. There are ppl who does this(copy content) as their primary business. Let me try to send a notice. Thanks for notifying me. Hi siddhart what abt amex cards. Are their absolute firex rate less? I may have to book tickets for $600 . Which card to use hdfc regalia or amex platinum travel. They have 3.5%+Tax which is higher. So better stay away from Amex cards for Forex txn’s. SBI elite has 1.99% foreign transaction fee but now reward rate is normal for international spending. Yes, but that’s 0.5% loss even on “effective” usage, worser than Regalia in its current form. HDFC Regalia on FD might help. Can you tell how much minimum need to put in fd for getting this card please. To get hdfc regalia , how much minimum amount required on fixed deposit. I think 4L-5L would do. Visit your HDFC branch. I deposited 4 lakh and got 3 lakh credit limit, now I have requested to cancel my Regalia and asked my wife to apply add on Regalia for me to use her card’s shared lounge access 🙂 You may consider applying Yes Bank First Preferred card and need 3 lakh deposit and you can get 75 % of credit limit. Yes Bank offers 1.75 FCY and 4 international lounge access + 3 domestic lounge access/ quarter. I applied for the Yes bank CC couple of days back and will keep my HDFC FD, so that I can apply for Regalia after 6 months from the cancellation date. 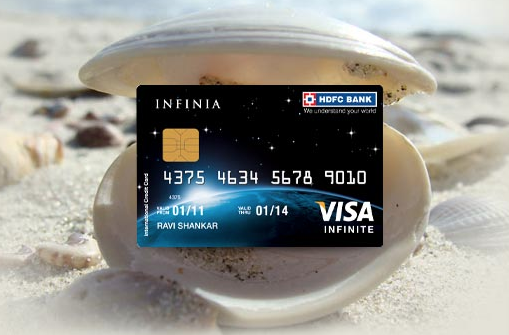 Hi Siddharth, saw your blog and picked up HDFC Infinia and Yes First Exclusive cards for my upcoming visit to Europe. In addition to the Forex markup fee levied by the credit card issuing bank I am told there is a Forex conversion surcharge of around 3% levied by MasterCard/ Visa as well. Is this true ? No, its very less, usually 1% or so. You don’t have to be worried about what what Visa and MasterCard will charge. All you pay is 2% + ST +SC+KVC which roughly comes down to 2.5%, in case of Infinia/Regalia/Diners Black/Diners Premium. For Yes First Excusive, all you pay is 1.75% +ST+SC+KVC which roughly comes down to 2.22%. If any agent or customer care officer tells anything else, they are misinformed. Have checked and verified this info myself on a lot of occasions. Those 2% and 1.75% Mark Up fees contains the 1% or less charge that the Franchisee(VISA/MasterCard/Diners) Charges. I have SBI visa credit card. I want to an international fee in CAD, but my card is not activated for international usage. What do I do now. How much time bank takes to grant activation? It can be activated through netbanking or by calling customer care. hdfc offer GLOBAL VALUE, in which we get 1% cashback for international transaction subject to maximum of 1000 rs per statement cycle. it is great benefit if we use regalia or infinia which have only 2% markup fees. Interesting. Did you get a separate mail on it? it was one of the feature when I apply for a card 2 years before. This is applicable for all hdfc credit catds. we can activate it by calling customercare. But It was come up with a annual charge of Rs.199. Luckily I never charged. I’m not sure why this is free for me. But still I am getting 1% cashback for all my international or foreign currency transactions. Presenting a world of exclusive benefits with GLOBAL VALUE. Enroll for the program on your HDFC Bank Credit Card and avail a host of amazing benefits when you use your card for international purchases. 1. Welcome / Renewal Benefit – 500 Bonus Reward Points on 1st International transaction. This feature is available once in a year. 2. Cashback Benefit – 1% Cashback on all International transactions (upto Rs. 1,000/- per statement cycle). 3. Milestone Benefit – Get Rs. 2,000/- worth Yatra voucher once you accumulate International spends of Rs. 1,50,000/- in a year. This feature is available once in a year. Simple, just call our 24×7 customer service number to place your request. After your request is processed we will enable GLOBAL VALUE program on your credit card and you can start enjoying the benefits. Your request will be processed within 5 working days. This program is available for the following retail credit cards – Gold, Titanium, Platinum Plus, Signature, World, Titanium Edge, Platinum Edge, Solitaire, Solitaire Premium, Superia, Regalia and Infinia. Welcome Benefit would be credited within 60 days of first international transaction, post enrolling for the program. Milestone Benefit – Yatra voucher would be sent within 30 days of achieving International spends of Rs. 1,50,000/- in a year. The maximum cashback would be Rs. 1,000/- per statement cycle under the benefit. Cancellation policy – If this facility is cancelled at any point of time, the program fee already charged for the year will not be reversed. In last 2 months i had done almost Rs.1.5L forex transaction. Had i know earlier i would have saved some money. Could anyone help me with the suggestion for an international travel card with Minimum interest and FX exchange rates. I am flying to Australia in the month of September and need quick suggestion which card to opt for to do the transactions. Anyone got this Global Value activated ? I called HDFC and they told it’s an old offer. I have held Citibank Prestige card for past 2 years now and have managed to rack up close to 200,000 air miles in this timeframe. Although Citibank cards have a slightly higher FCY rate, the generous air miles program as well as wide range of partner airlines and hotels make it a great choice for those who travel frequently. I have also been using Amex Centurion Card (Black Card) for the past 3 years now. This card is exorbidently expensive with a 2.5 lac annual fee. It does come with immense benefits for those who are travelling internationally very frequently – however the much hyped concierge service is quite pathetic in India. Other countries have a far better concierge service for similar pricing. I have just received Citi Prestige card from Singapore and I am very happy with the unlimited priority pass lounge access for primary card holder and a guest. Have you ever booked hotels using their concierge services ? Is it possible to know the list of hotels and rates like any other booking sites when using the concierge service ? Also, do you know any special category where I can earn more miles ? Hi Mr. Siddharth…obviously can’t proceed without mentioning that your content gives a definite insight into the various credit cards…so thank you for that but i did have a question…So i am due to apply for an Hdfc credit card with travel rewards, air miles and international travel and dining as the main focus and was wondering when you mentioned in regalia that diners black also has the same perks but acceptance is a problem so what did that mean ? Check out the article on Diners Club Acceptance for more info. Which is the best credit card to make foreign transactions online? I’ll be applying in some international universities, so it would be great if you can please suggest a card that has minimum extra charges? You should mention HDFC’s Globe Value program, which gives additional 1% cashback on all international spends. Any pointer to buy Singapore dollars and Thai bhat?? Great content you have. I am a frequent international traveller to the APAC countries. Have a priority pass courtesy HDFC Regalia but almost exhausted the free visits (reduced to 6 now). Can I take another credit card which provides free priority card along with Free visits. Are 2 priority pass possible for a same person? Correspondingly, HDFC is ok to upgrade me to Diners Black, however I am a little skeptical due to the low acceptance of Diners in Foreign markets. Also not sure what happens to the points. I have close to 32000 Points in Regalia. Please suggest Options. Diners Black not suggested if you’re using it as primary card. But i guess you might be eligible for the Infinia as well. Check with the RM. With a monthly take home of around 2.5 Lacs, what are the credit card options for travel, mainly looking for Free priority pass with Free visits. This information is very useful Siddhartha. I hope I had got this information before applying for the card, taking decision would have been easier. After evaluating my options, I narrowed down to buying forex card from Centrum Forex. I liked their card as it was widely accepted and their services were super quick. Which credit card would you suggest, if I make foreign currency transactions online. I do not travel much but I have to make business payments by credit card online. I am losing a lot of money through markup fees. I have just started my business so volume is very low. Thanks for the useful info. You must amend your blog & include Stanchart’s Ultimate card. It does have 2% FX markup & 5 reward points for Rs 150/- spent. hdfc diners black is the best card for foreign use currently, although acceptance is really low, but the mark up fees is 2 % + taxes and you get reward points of 3.33%. please suggest best credit card excluding diners for going to Bangkok in this month. In most of the places in Bangkok or Thailand, they won’t accept cards even if they accept many shops charge 4% extra. They will try to recover the merchant discount rate from the payer itself. I recommend to go with IndusInd Exclusive Visa Signature debit card which doesn’t have any mark up for international transactions. Mastercard gives better mark up rate compared to Visa but shops like Seven Eleven accept only Visa. Also please note Thailand Banks charge 220 Baht for cash withdrawal. Also don’t use their currency conversion to get charged in INR, always charge in Baht. if standard ultimate card is better than yes preferred card for international travel? 1. Forex markup is 1.75%+gst for yes vs 3.5 +gst – 1.5 cashback for ultimate. Also MasterCard usually gives better Forex rates than Visa as well as Mastercard lounge access programme at Indian airports has more options..
2. Priority pass visits: 4 free with YFP a year/ unlimited for YFE vs 1 per month provided 20k has been spent in previous calender month. Reward rate is better in Ultimate (@3.3%) but you will get no reward points for international spends as you are already getting 1.5% cashback on markup. Are you sure no RP for international spends on SCB ultimate card? i hope yes preferred card gives reward points @2% for international transactions as well. Yes you do get RP in YFP for your international spends. Which of these card is the best for foreign exchange? Trip Cancellation for any reason i.e. to say if for any reason whatsoever, I cancel my trip, the insurance company compensates for loss of flight tickets charges and hotel non-refundable booking charges in full. Citigold / Citigold Private Clients gets 30% more points, hence calculated based on that. You have mentioned 0% for normal person. That’s not the case I am telling. Can one apply for a Uk or USA credit card from India. If yes, can you also please tell the formalities to be completed. You need social security number to apply for credit cards from USA, and you can’t get social security number unless you are moving to USA legally. I am looking for a good travel card. (domestic and international) and am looking for these key features besides others…. Can you suggest any card which has these features here in India ? I have Amex platinum travel and even they don’t have all these features. i just completed my masters in physiotherapy and planning to do free lancing and workshops, for which i need to do foreign transactions. how can i apply for a credit card. I am looking for an international credit for the online international transaction. The only purpose of this card will be to pay the application fees to the universities. Also, I want to know, do I need to pay the annual charges even if I do not make a purchase using it for a year? Yes u need to pay annual fees. You can start with hdfc regalia. 2% markup fee on intl spends. It is generally issued LTF. Anyone know any zero / close to zero markup fee debit card other than indusind exclusive cards ? Wonder whether Yes First Exclusive would find itself now that it has devalued heavily? Had called up HDFC and asked them the reason for this and they say it’s the bank exchange rate value correction errors and can max out around 1%. Did you wait for the transaction to be settled? At the time of settlement the rate could differ. We can’t compare based on how much amount is charged during card swipe. Did you compare the rates from Visa / Mastercard website and average rates in XE? Please also mention whether the card is Visa or MasterCard. Please also explained how you calculated overcharge. Btw, you have a nice card collection . The card charge reflected on the statement will not be the amount on your charge-slip but the exchange rate on the day that transaction was settled. Also, Visa & DBC charge slightly more fx rate compared to MC. BUT, if you take the Global Value Programme offered by HDFC, your actual difference comes to a meagre Rs.60 extra on every Rs.1 Lakh worth of transactions. IndusInd Exclusive MC/Visa card variants do not charge anything if you use the card to make withdrawals from ATMs abroad (same day/minute settlements); they do charge bit more for PoS transactions. IndusInd Pioneer does not charge extra on both PoS purchases and/or ATM withdrawals. I use Infinia for International PoS transactions (with Global Value Prog~ 2% CB over and above MarkUp fees n GST) and IndusInd Exclusive for ATM withdrawals. 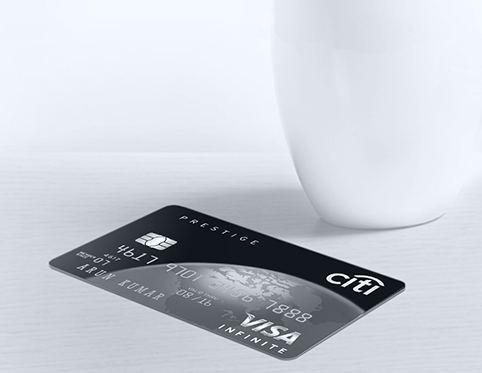 My backup card is CiTi Prestige for Intl. PoS and SBI debit card for Intl. withdrawals. I recently did transaction of 1100 USD on my axis My zone visa credit card. xe.com was showing 1 USD = 69.1 INR; So 1100 USD amount to 76010 INR. I was charged Rs.79,874 ; almost 3864 INR which amount to 5.08% markup. Should I escalate the mattter to the bank or this is just the way it it is? What was the exchange rates on the two cards? The FX rate used is that as on settlement date and not transaction date. So it might vary across cards. Has anyone used the HDFC MakeMyTrip Forex card? Good offer going on – 20 paisa discount on exchange rate, and 10x points if card value is > US$ 1,000. I have Diners black and Yes exclusive card. There is also an offer to get Hdfc MakeMyTrip forex card on zero fees from makemytrip with some ongoing offers. 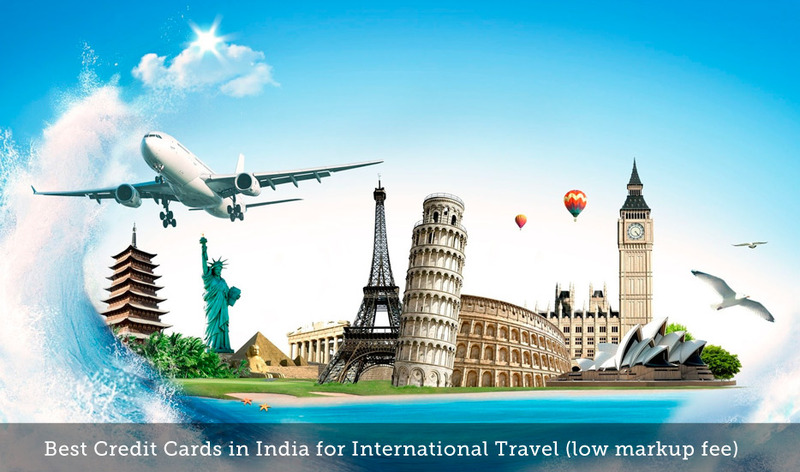 Please suggest which card would be most economical in my next international trip (Europe) out of these.